In business for over 20 years, ABC Rug & Carpet Cleaning, NYC has been the number one cleaner of fine handmade rugs. 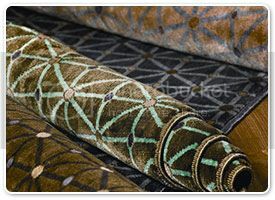 They offer repair services, removing years of wear and tear on your area rugs as well as rug restoration. Their highly trained staff with years of experience will clean your Oriental and Persian rugs in our rug cleaning factory. There is much difference between an in-home and factory cleaning. Top to bottom cleaning. In-home services only do surface cleanings. Our machinery will flip the carpet to give it a thorough cleaning all the way around. Disclosure: This is a sponsored post brought to you by ABC Rug & Carpet Cleaning, NYC. I am disclosing this in accordance with the Federal Trade Commissions 16 CFR, Part 255 Guides Concerning the Use of Endorsements and Testimonials In Advertising. See my full disclosure.